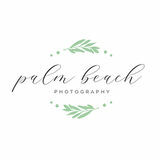 Palm Beach Photography, Inc., the Premier Wedding Photographer in Palm Beach, West Palm Beach, all South Florida and the Treasure Coast offering Wedding photography, Event photography, Quinceañera, family portraits, newborn photography, maternity photography and engagement photographs. Palm Beach Photography, Inc.is proud to be able to capture the magical moments of your special day, down to your smallest details. Palm Beach Photography, Inc. offers services in wedding photography, event photography, family portraits, engagement photography and newborn photography in Palm Beach, Broward, Dade, Martin and St. Lucie County.